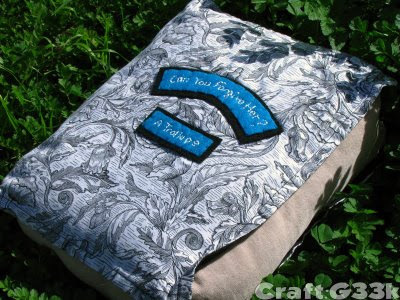 Last month I took part in a "January Birthday Swap" on Craftster. 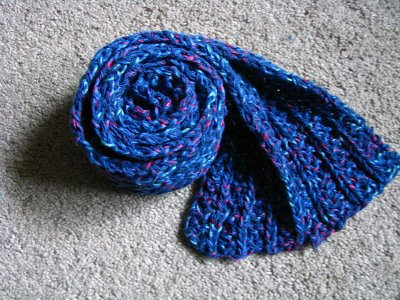 I made a present for someone else born in January, and then someone else made a present for me. The pillow is inspired by this beautiful work by Patchwork Pottery. The book exterior is quilter's cotton, and the "pages" are corduroy. 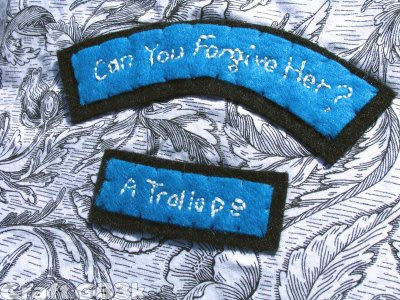 I admit my literary ignorance, that I did not know there was a writer named "A. Trollope" but I did giggle a little bit as I embroidered this.